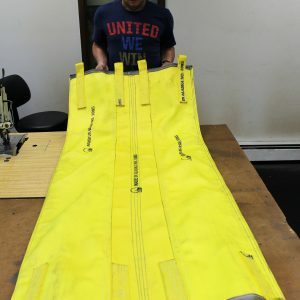 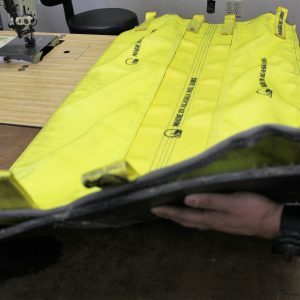 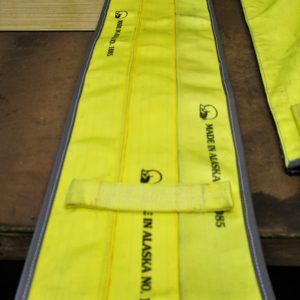 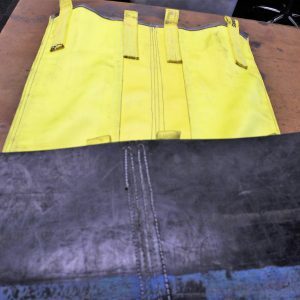 We sew replacement Marine Travelift slings and wear pads. 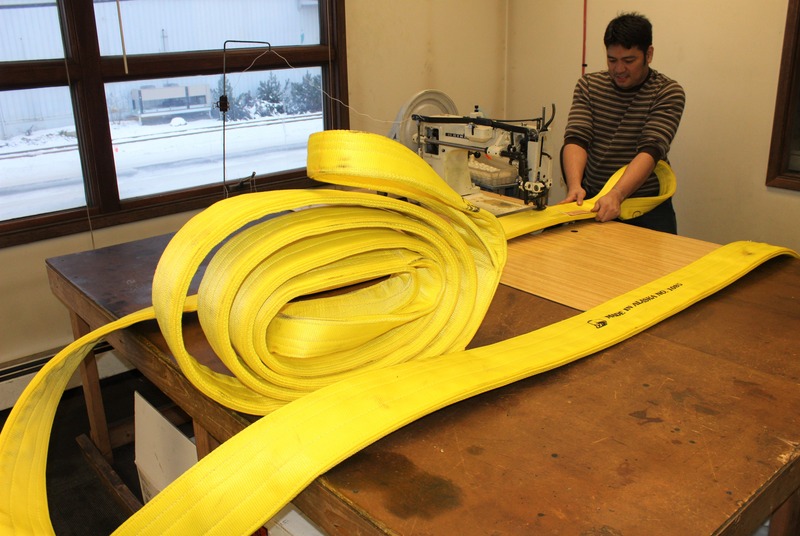 We can even sew new webbing onto your old rubber conveyor belting chine & keel pads. 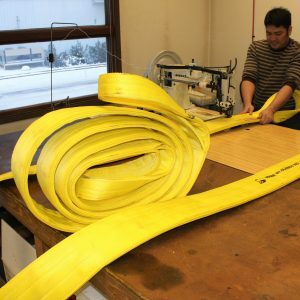 You can see by the pictures that we use heavier webbing than the factory so they will last longer and reinforce the edges where tearing tends to occur first.